My name is Raffaele Giovanni Fruguglietti (you can call me Ralph) and I'd like to welcome you to Frugatti's Italian Restaurant and Catering, where we offer the best Italian dining experience and Italian catering services in Bakersfield, California. The first thing I want you to know is that Frugatti's is all about family. 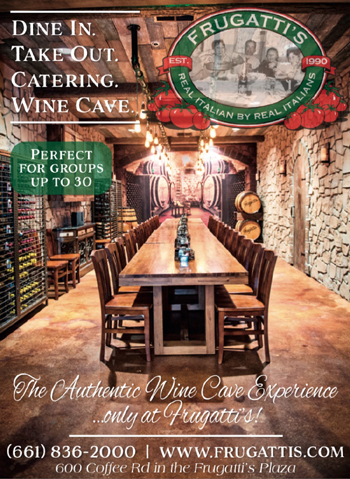 With the help of our dedicated staff, we want to offer the best Italian dining experience in Bakersfield and I'm lucky enough to know what a real Italian dining experience should be! We like to keep it authentic around here. As we say about our restaurant: Real Italian, By Real Italians. Please use full value of vouchers in one visit.